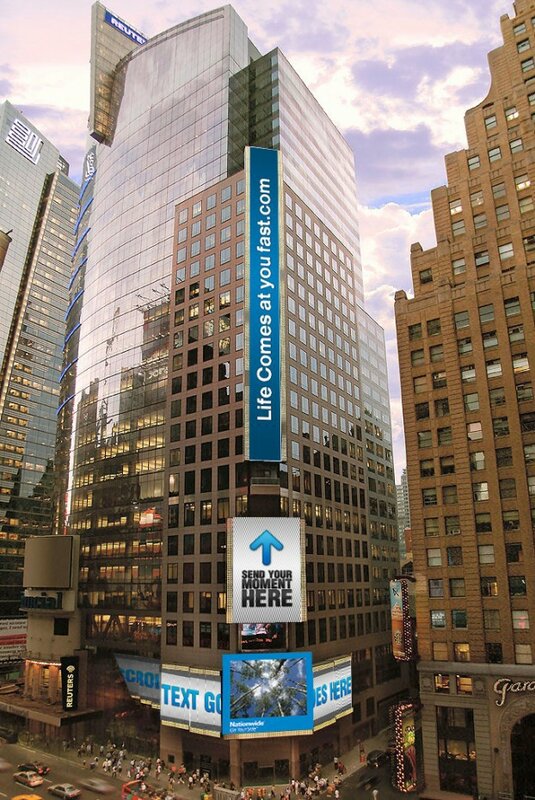 This project brought the Life Comes At You fast campaign to life on the biggest stage in the world – Times Square. The moments were submitted by consumer who sent in 3 photos and a headline. Once a moment was selected the person would be notified of the date and time it was going to appear. They could download a desktop widget that would countdown to their moment or sign up to receive a text message reminder an hour before it was going to be shown. 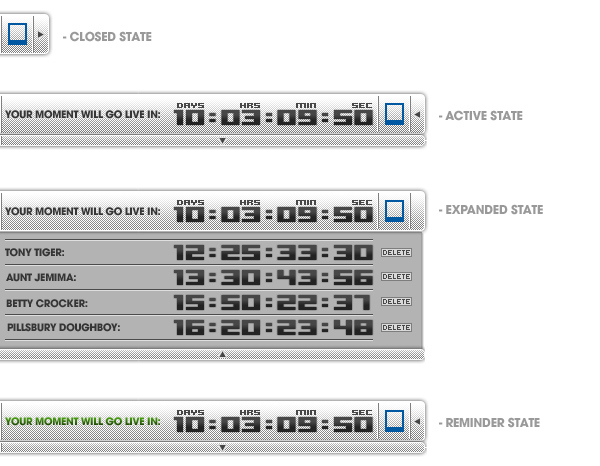 More than a hundred moments were broadcast live on the digital Reuters outdoor board each day. 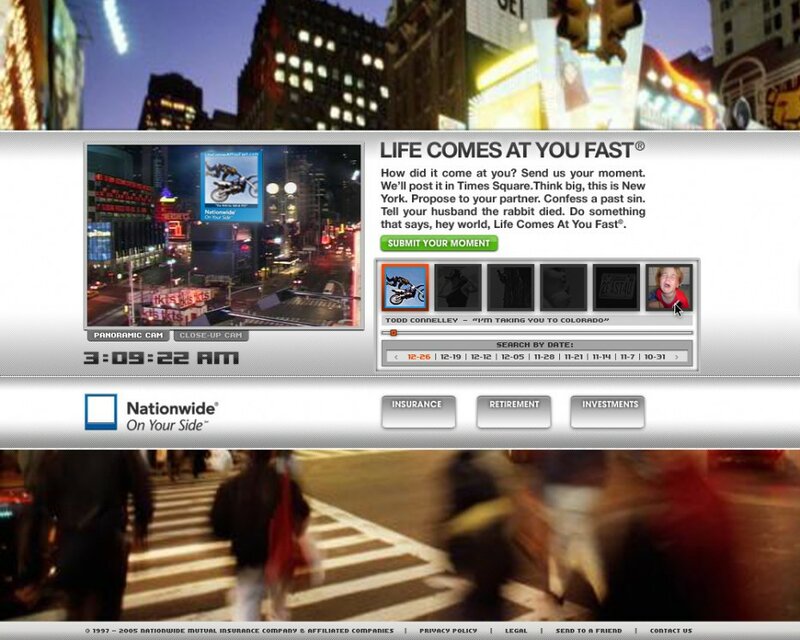 During that time multiple live web cam streamed different angles of the board to LifeComesAtYouFast.com. People use the site to announce a new addition to their family, embarrass their friends quit their jobs and share unexpected moments. The biggest of those came from Jeran Fraser who used the site to propose to his girlfriend on her 21st birthday with the message “This day is as special as each day in our life. On this night I ask you: Will you be my wife?”.